I haven’t been posting as much in the past 2 weeks and there is a good reason why. 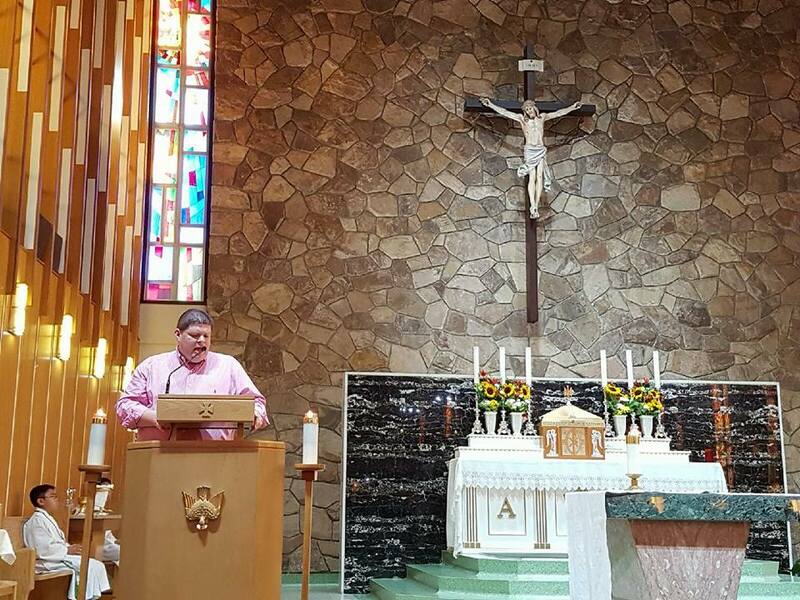 I am just returning home after 14 days in the Roman Catholic Diocese of Calgary, where I gave 29 talks to in the ballpark of a combined 1600 people in 14 parishes. Whew! It was a blessed trip with close to a 100% positive response to the message of the stewardship way of life. Everyday Stewardship in Everyday Language for Everyday People. EVANGELIZATION leads to INTENTIONAL DISCIPLESHIP which leads to THE STEWARDSHIP WAY OF LIFE. People not only want this transformation in their parishes, they want it for themselves. Transformation does not take place overnight, but instead one day at a time. Thank you to every pastor that welcomed me into their communities and every person who gave of their time to listen. Thank you to Eden D’Souza for organizing the entire series! I know this will not be my last time in Calgary, so until we meet again, carry on, good stewards. God Bless!